In the last two decades, fatalities caused by automotive collisions have been reduced by 300% throughout Europe. However, cyclists, motorcyclists and pedestrians continue to make up nearly half of all fatal vehicle-related fatalities. The popularity of cycling through cities keeps increasing. Unfortunately, so do bicycle-related fatalities. The Royal Society for the Prevention of Accidents reports that in more than 80% of the collisions, human error remains a leading factor. Projects began in an attempt to correct the problem using technology. 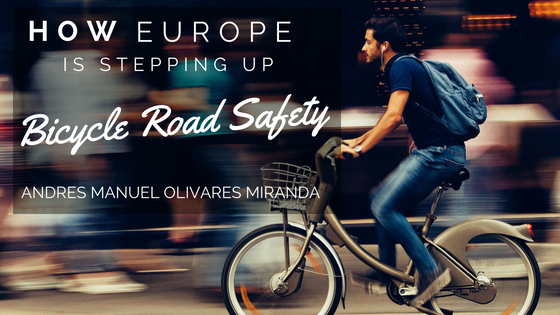 The European New Car Assessment Programme combined efforts with European governments and automotive manufacturers to increase cyclist safety. The Dutch government made it their priority to increase cyclist safety. In turn, they funded the development of automotive projects designed to enhance cyclist detection. The safety systems developed and subsequent testing demonstrated what might be accomplished through collaborative efforts. One of the latest projects includes the technology installed in the new Nissan LEAF electric hybrids. The technological advances include the autonomous emergency braking system or AEB. Tests on the vehicles were designed to determine the car’s capability to effectively detect the presence of cyclists. Various collision scenarios were created to evaluate the system. The AEB system slows or stops a vehicle before a collision occurs with a cyclist. Detecting cyclists is far more challenging than identifying pedestrians, as the bikes typically travel faster through a vehicle’s pathway. Thus, the system must include sensors having a wider field of vision that processes information in sufficient time to cause the vehicle to react appropriately. Tests on the detection system assess how well the technology functions and the potential for preventing fatal accidents. Testing earned the LEAF a safety rating of 71% and five stars. Other systems added to the AEB include the ability to see pedestrians in low-light conditions or in total darkness. In addition, safety measures also have the ability to detect when a vehicle inappropriately veers into another lane or begins going off the roadway. When sensors determine that vehicle actions are unsafe, the vehicle to automatically take evasive actions to prevent going off road or becoming involved in a collision. Initial costs of creating an installing systems limits availability. However, as new technologies become more readily available, the costs decrease, which will eventually enable automotive manufacturers to make safety systems standard equipment on a wider range of vehicles. Next Real Bike vs. Exercise Bike – which is better?